The Government is keen for us to continur working later in life – will it be in a call centre? Many well-known figures have seen their careers flourish well into their mid sixties, Sir Alex Ferguson and actress Dame Helen Mirren among them. Though not a famous face, 68-year-old Malcolm Jeffery is enjoying similar career success – and has no plans to retire any time soon. By his own admission he may not be ‘technologically advanced’, but Malcolm is currently the oldest employee working at CPP’s headquarters in York and embodies the reasons why many feel the Government’s default retirement age of 65 should be scrapped once and for all. He works full time at the company’s headquarters in the city and relishes the lease of life and sense of purpose working well into his sixties gives him. Malcolm has enjoyed a full and varied career – from accountancy to directing a shipping company – and latterly working for Northern Foods/Express Dairies, and it is precisely this life experience which has held him in such good stead at CPP for close to 10 years. 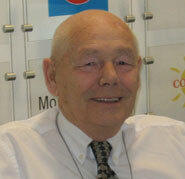 Malcolm joined CPP in 2001, coincidentally on the very same day his son joined the company. 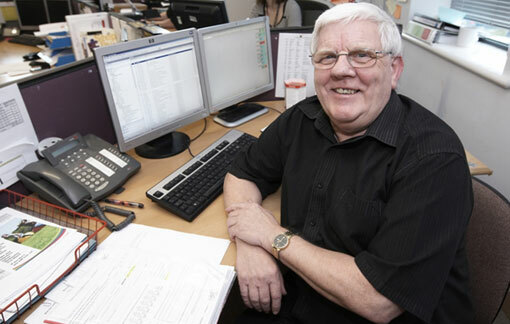 While his son has only very recently moved on to a new job in Hull, Malcolm is still relishing his role as a capacity planner in the operations team. This means he manages the number of agents needed to answer CPP’s calls at the firm’s contact centre. He is emphatic about the benefits of working beyond 65, and stresses that both his body and mind are still fighting fit: “Apart from the obvious benefit of earning a salary which allows me to enjoy a certain standard of living, I really enjoy the comradeship and social element of going to work each day, and I’m sure there are thousands of others out there just like me. Malcolm, who lives in locally and has six children and nine grandchildren, doesn’t have any immediate plans to retire, but concedes that should there come a time when either he or his employer felt he was no longer performing to his usual standard, he would bow out gracefully. CPP helps people if they lose their payment cards, mobile phones or have had their personal identities stolen, and employs almost 1,000 people at its York headquarters. It also has contact centres in Chesterfield, Tamworth and Altrincham. The organisation has recently bid farewell to its oldest employer Bryan Coates, who finally hung up his headset at the grand old age of 73. After reluctantly leaving his job as an office manager at the age of 65, Bryan joined a temping agency which signed him up with CPP for three months. Little did he know that the life assistance company would become his workplace for the next eight years. Bryan credits his longevity on working with young colleagues and admits that they ‘kept him on his toes’. The firm certainly backs Malcolm and Bryan’s outlook on the benefits older people can bring to the workplace. CPP’s managing director Stephen Kennedy said: “We welcome all ages to work in our contact centres because it ensures we have a wealth of experience across all age groups. Ensuring that we treat all employees fairly regardless of age has helped to tackle any skill shortages we have while also giving peace of mind to the employee. “Working gives people a sense of purpose and keeps them active, and there is a common theme from many of our older employees that it also gives a feeling of contributing to society, camaraderie and of being valued and belonging. Meanwhile, the number of people forced to retire during the recession has shot up fourfold, according to an age campaign group. A survey by charities Age Concern and Help the Aged found that 100,000 workers were made to leave their jobs in 2009 because they reached the default retirement age of 65. In 2008 and 2007, an average of 25,000 people per year were forced to retire, according to research based on interviews with 976 over-60s. The charities – soon to be rebranded Age UK – challenged all political parties to commit to scrapping forced retirement. An amendment to the Equality Bill calling for the default retirement age to be scrapped by the end of next year was withdrawn again in April as the House of Lords insisted it was up to the Government to either remove or raise the retirement age. How can the public image of call centres be improved?